Witnesses tell inquest about fatal Ford Kuga fire - SABC News - Breaking news, special reports, world, business, sport coverage of all South African current events. Africa's news leader. The court is holding an inquest into Reshall Jimmy’s death after he was burnt to death when his Ford Kuga caught fire three years ago. 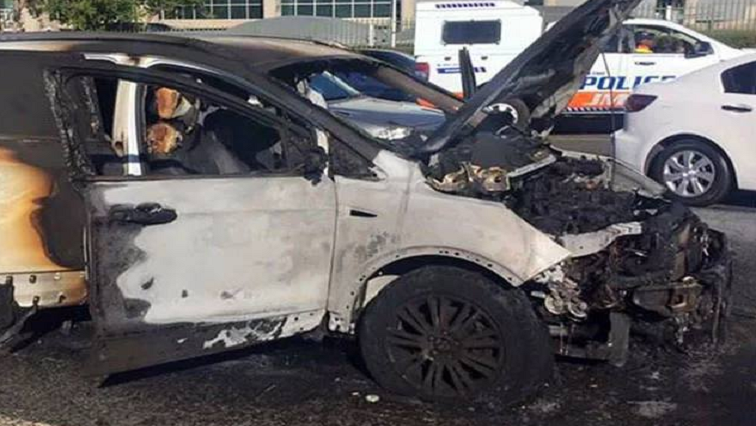 The possibility of racial prejudice has been raised during an inquest hearing into the death of a man whose Ford Kuga SUV caught alight in the Southern Cape three years ago. Reshall Jimmy was on holiday in the Wilderness in December 2015 when his car caught alight. He died in the blaze. The Ford Motor Company has denied liability, but the Jimmy family insists the multinational company is responsible for his death. Two state witnesses who arrived at the scene of the burning car at different times testified on Monday. Holidaymaker, Herman Keulder, whose cellphone footage was played in court said he could not distinguish whether the sound which prompted him to go to the scene was an explosion, a firecracker or a gunshot. It was however the second witness, Andrew Roberts, whose testimony Advocate Gerrie Nel, on behalf of Afriforum for the Jimmy family dug into. Nel submitted that Roberts was working with the Ford Motor Company by providing its CEO and lawyers with a statement after he had already given one to police. This entry was posted on 25 Mar 2019,08:04PM at 8:04 PM and is filed under South Africa. You can follow any responses to this entry through the RSS 2.0 feed. Both comments and pings are currently closed.